Does your pitbull have a difficult time building up muscle? Then you need to introduce some changes to the lifestyle and diet of your companion in order to help him build muscle. Here is a list of few important tips, which you can keep in mind when you are trying to assist your pitbull build muscle. If you stick to these tips, you will be able to notice some significant changes in the physique of your pitbull after a couple of weeks. Providing a good diet is extremely important for you to assist your pitbull build muscle. Unfortunately, most of the pitbull owners tend to provide low quality dog food. This can create a tremendous impact on their muscle development. 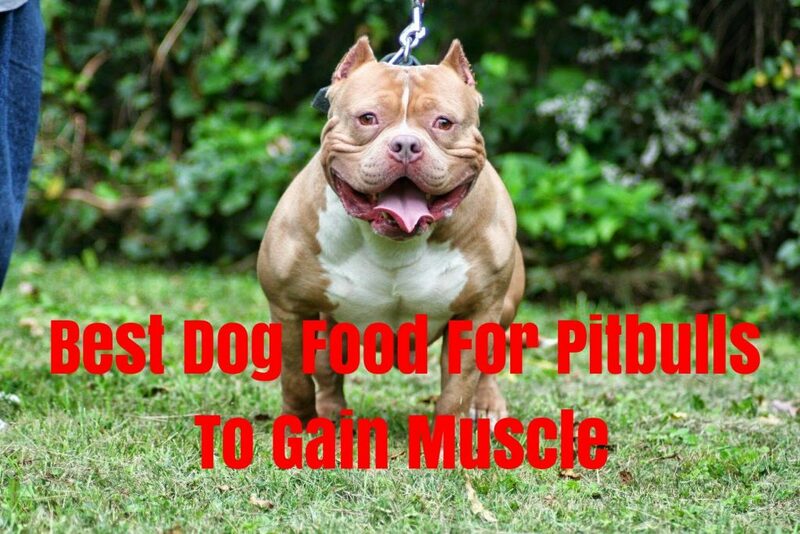 Therefore, you need to be careful to find the best dog food for pitbulls to build muscle (click here to find out more). In general, the bed food for pitbulls is loaded with natural meats, protein and many other healthy ingredients. It is important for you to stay away from unhealthy ingredients such as unnamed meats and corn based byproducts. They would add less nutritional value to the diet of your pitbull. Providing whole meats to the pitbull is always a better option available for you to consider than providing byproducts or parts. Dog food would not be able to deliver all the nutrients needed by your pitbull. In such a situation, you should think about catering the missing nutrients with supplements. If you see that your pitbull is not building muscle, even after providing the best dog food, you have to think about providing a supplement. However, all the supplements available out there in the market would not be able to deliver the best results. Therefore, you must keep an eye on supplements that contain minerals, amino acids, proteins and vitamins that your pitbull lacks. Moreover, you need to see whether the supplements you purchase are based on natural ingredients. This will assist you to keep your pitbull away from side effects in future. The daily exercises can provide an excellent assistance for your pitbull to build muscle. Therefore, you should never neglect this fact. At least you should take your pitbull for a walk every single day. It would be better if you can introduce weight pulling exercises because they have the ability to contribute towards the muscle building process. Before you provide workouts to your pitbull, it is important to seek the assistance of a vet. The vet would analyze the age of your pitbull along with the workouts that you provide and recommend the best ones. In addition, the vet would analyze the muscle growth and development of your pitbull along with time and give you progressive feedback. You will also be able to figure out the amount of exercise that your pitbull can handle. Therefore, you should visit your vet on a regular basis.